We got back to Rye and stopped off at an antiques shop we had seen as we had walked passed the outskirts of the town earlier that morning. One obsidian arrowhead and a crystal later we started to make our way into the town itself. We walked up the first street that presented itself; it turned out to be one of the most well-known streets in the town: Mermaid Street. Mermaid Street is cobbled, quaint and quirky. Its focus is the Mermaid Inn, a beautiful building dating from about 1500. Its cellar is older and was built in the 13th Century. 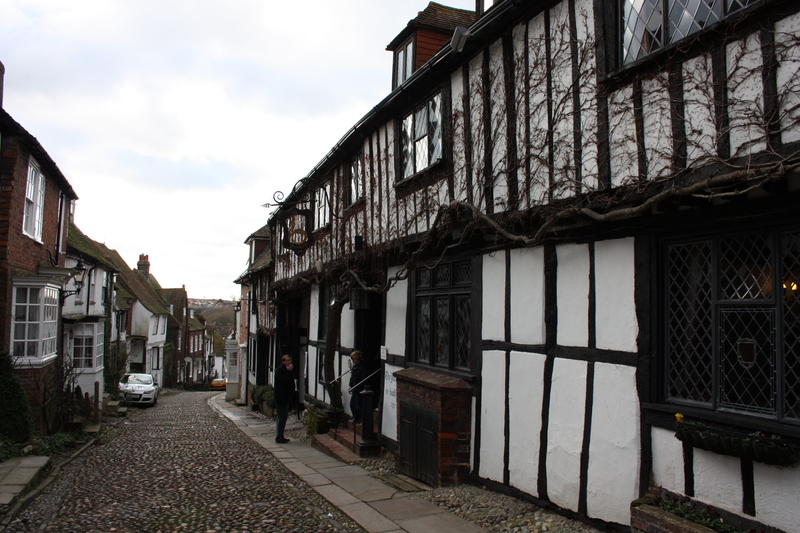 Smuggling was a major problem in Sussex, and the notorious Hawkhurst Gang were based at the Mermaid. “Gang” is probably the wrong term to describe them, because they were more of an “organisation”, with influence along the coast from Dorset to Kent. You would want to treat them with caution. Lawless and Ruthless, many who crossed them met grizzly ends. Shootings were a mild form of sport. There are tales of people being whipped to death, buried alive, or thrown down wells and then being stoned to death by having rocks thrown down on top of them. I hasten to add that some of these deaths were dealt by the Hawkhurst Gang to others; some were dealt by others to them. Suffice to say you’d be best to steer well clear of them. Their influence lasted from 1735-1749 and towards the end many of their leaders were hanged, and then their bodies hung in chains around the towns and villages they had terrorised. We wandered around the town for a short while, enjoying the sights, visiting a gallery, and stopping off for tea. We were pleased to have stopped our walk early to get a taster of Rye. To have missed it would have been a great shame. 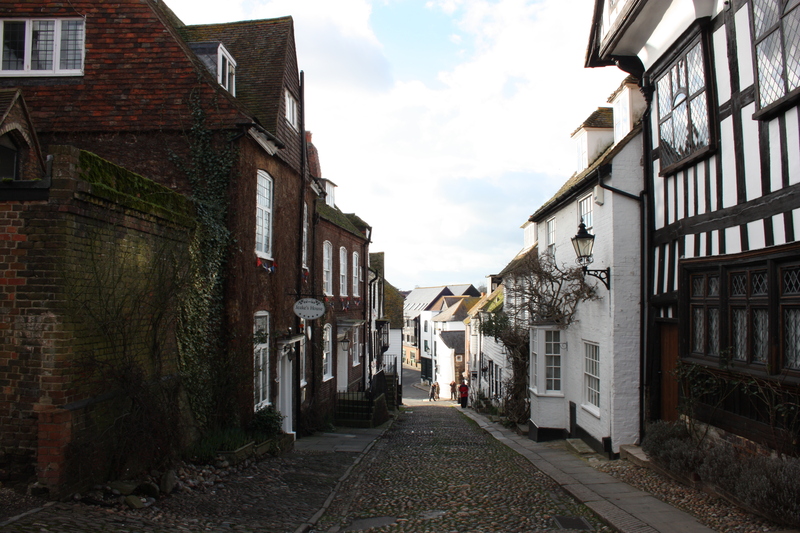 This entry was posted in East Sussex and tagged coast, East Sussex, hawkhurst gang, mermaid street, Rye, travel, walking. Bookmark the permalink. I am so glad you guys went back here… Not seeing the town would have bugged me too. The town looks just like the houses I put under my Christmas tree every year – so pretty! Is naming your house a common thing there? Yes, a lot of people have house names rather than numbers, particularly in rural areas. The secret is to name your house as soon as you move in. 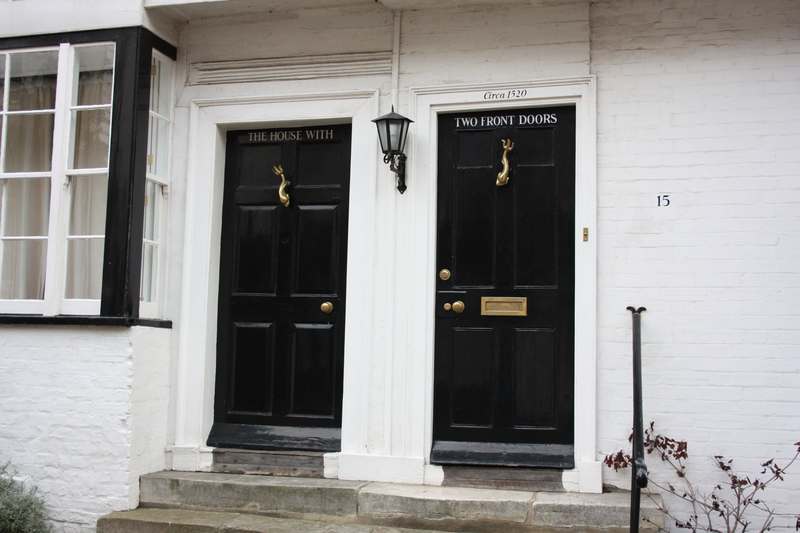 If you send out change-of-address cards with just the house number on it is then too late to name the house – nobody will know and they’ll just use the street number!